Welcome to Coffee Brake, where we take a break from the mundane and explore the urbane. Tuesday of this past week was the first day of summer for those of us who live in the Northern Hemisphere and the sunshine (plus long days) are very welcome. Of course then i'm going to talk about the best cars for summer...because that is what we do around here. Things happen. We talk. Blah blah...yeah. I will have the audacity to suggest that all you need for a summer car is a manual gearbox and a convertible top...but you might have other ideas. 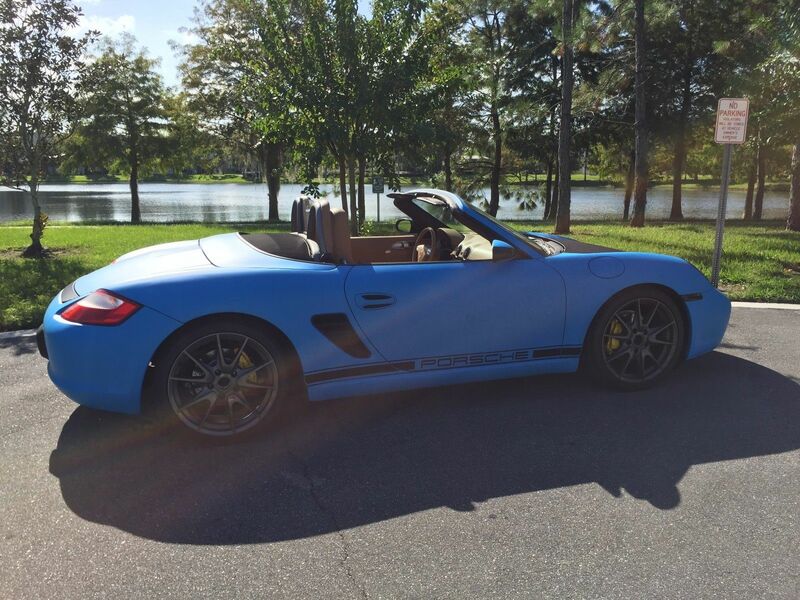 My selection is this 10 year old used 2007 Porsche Boxster offered for $11,900 here on eBay in Windermere, FL with a few hours to go. The base Boxster is a perfectly good car for cruising through city streets or bombing down the corkscrew at Laguna Seca -- seriously, it is the rich man's Miata...but they aren't that expensive once they get a few miles on them. What would you buy to drive in the summer? OK, I will start - I'd happily spend the summer driving a chrome bumper S2 Alfa Spider that's been for sale on my local CL for a while. Would I buy the the Miata instead of this Alfa. No. Alfa all the way. Miata - any time, any place - Mine is a 1996. I don't know what to say. I should say thanks...but WOW! I've always liked these M Roadsters and especially like this color (evergreen) on these cars. Price converts to $9040 USD and 136900 Kms = 85563mi making it a relatively reasonably priced and low mileage example. Love the Evergreen exterior but it is too much for the interior. I'm rocking the summer in an Artic Silver/Estoril Blue & Black version. Summer mantra is "Top down, tunes up!" Ps - "What's on your playlist?" Might be a good Coffee Brake subject. My Top Down, Tunes Up playlist starts with Boys of Summer. You guys must have beautiful flowing Fabio hair. I can't rock a convertible. Best times to drive a convertible are summer nights when the stars are out and it has cooled off a bit or crisp fall days when you have the heat on at your feet and your (flowing or not) hair is just a tad cool. Full sun, full heat summer days you want to be at your destination already.